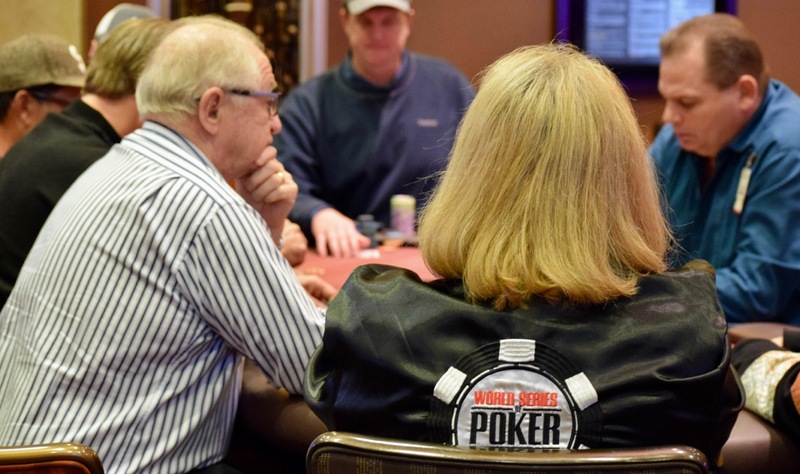 Players in Day 1A of the $500,000 Guaranteed #TVWSOPCircuit Main Event are on their first 15-minute break of the day. Registration and a single re-entry per player, per flight is open until the start of Level 13 at about 10pm. Here's some chipcounts from around some of the tournament area.